Being Frugal and Making It Work: Don't Let a Busy Weekend Throw You Off Track - Snack Healthy While on the Road! Emerald® Nuts provides a wide variety of tasty nut snacks, including almonds, pecans, walnuts, cashews, and Breakfast on the go! With unique flavors that include Cocoa Roast, Sweet & Salty Dark Chocolate Peanut Butter, Salt & Pepper Cashews, or Breakfast Nut Blends, Emerald offers something for just about every taste preference. Their nut brands include almonds, cashews, mixed nuts, and granola-nut mixes (sold under the name Emerald Breakfast on the go!). 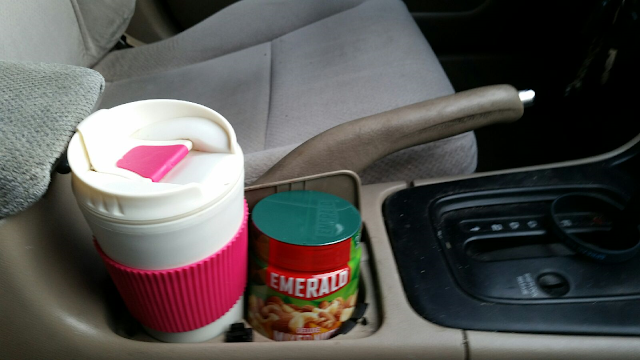 In addition to quality nuts and unique flavors, Emerald offers a variety of package sizes to meet everyone's needs and tastes, including the Emerald Nuts canisters, which fits right into a your vehicle's cup holder, perfect for healthy snacking while on the road! 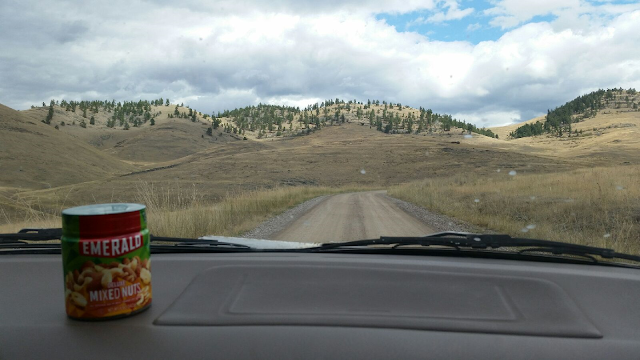 Emerald Nuts canisters are the PERFECT family snack while enjoying a fun weekend on the road. Not only do they taste delicious, they are also portable. They fit perfectly in your cup holder and can easily be passed from one passenger to another and from the front seat to the back without making a mess. “Make Emerald a part of your day, anytime.” Emerald Nuts canisters are available EXCLUSIVELY at Walmart. You can get your own digital money saving coupon to save 55¢ off off any ONE (1) Emerald® Nut item (Available at Walmart) here. If you aren't already a fan of Emerald Nuts, I suggest that you check out their Facebook page to learn more. They also share great deals, coupons, and recipes. Whether you like sweet or salty, Emerald has you covered! One more thing... Emerald Nuts wants to know how you snack and eat nuts. Take a quick opt-in shopper research survey and the first 100 people that fully complete the survey will receive a $5 Walmart gift card! (U.S. citizens only, must be 18 years or older to participate). 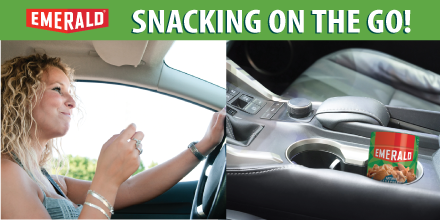 What is your favorite healthy snack while on the road? These snacks are great. I love that I can take them with us in the car and they fit in the cup holder!